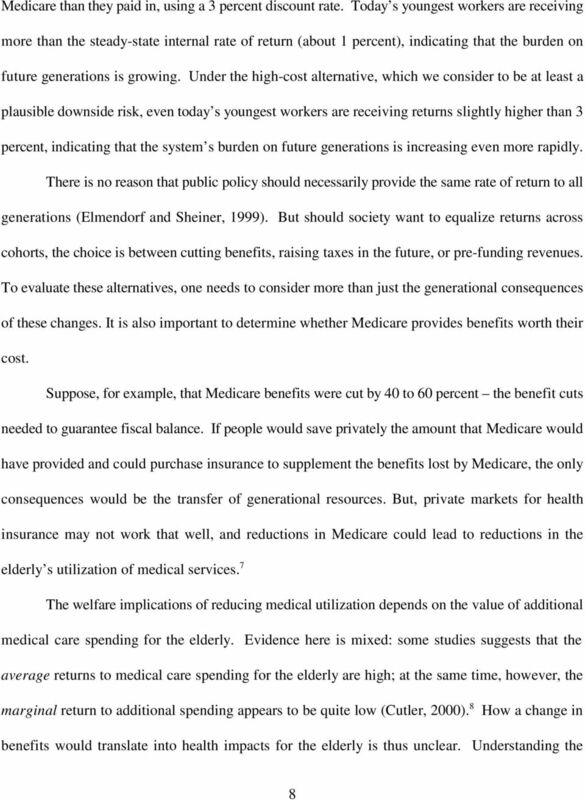 Download "Generational Aspects of Medicare. 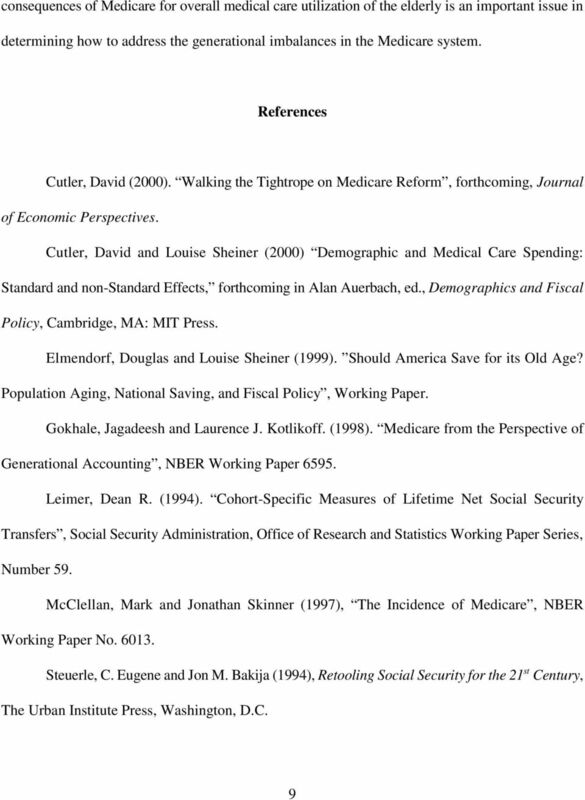 David M. Cutler and Louise Sheiner * Abstract"
1 Generational Aspects of Medicare David M. Cutler and Louise Sheiner * Abstract This paper examines the generational aspect of the current Medicare system and some stylized reforms. 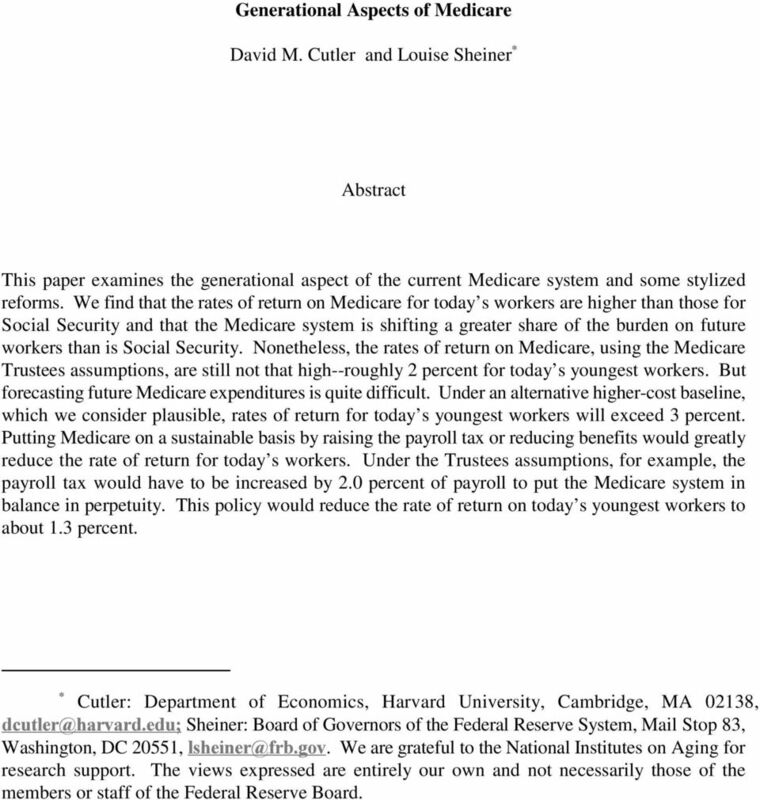 We find that the rates of return on Medicare for today s workers are higher than those for Social Security and that the Medicare system is shifting a greater share of the burden on future workers than is Social Security. Nonetheless, the rates of return on Medicare, using the Medicare Trustees assumptions, are still not that high--roughly 2 percent for today s youngest workers. 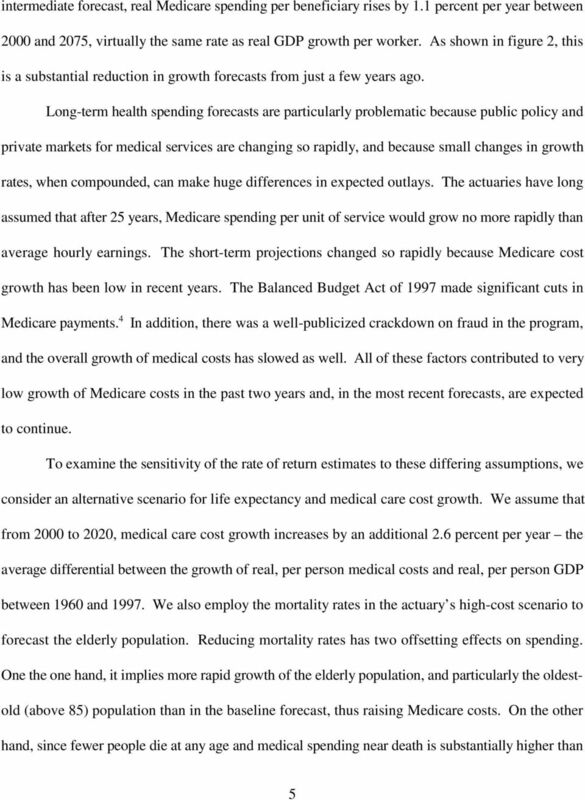 But forecasting future Medicare expenditures is quite difficult. Under an alternative higher-cost baseline, which we consider plausible, rates of return for today s youngest workers will exceed 3 percent. Putting Medicare on a sustainable basis by raising the payroll tax or reducing benefits would greatly reduce the rate of return for today s workers. 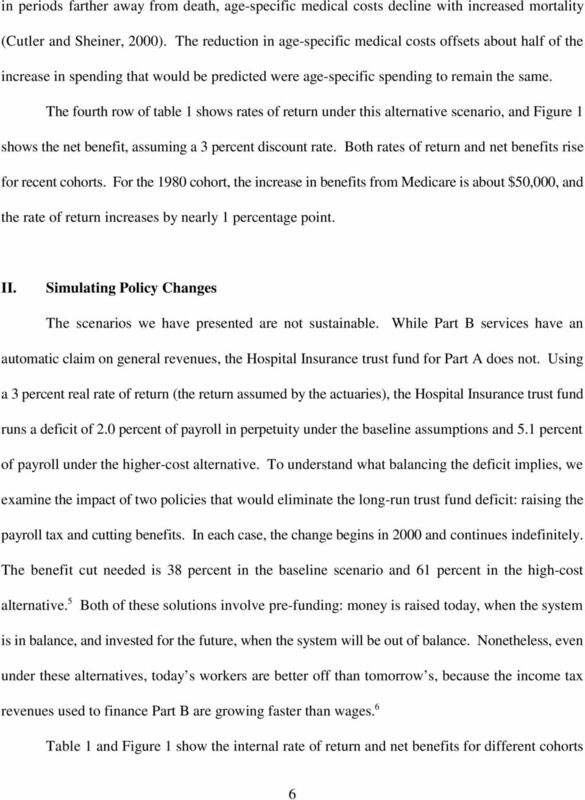 Under the Trustees assumptions, for example, the payroll tax would have to be increased by 2.0 percent of payroll to put the Medicare system in balance in perpetuity. This policy would reduce the rate of return on today s youngest workers to about 1.3 percent. * Cutler: Department of Economics, Harvard University, Cambridge, MA 02138, Sheiner: Board of Governors of the Federal Reserve System, Mail Stop 83, Washington, DC 20551,. We are grateful to the National Institutes on Aging for research support. The views expressed are entirely our own and not necessarily those of the members or staff of the Federal Reserve Board. 11 Endnotes 1. 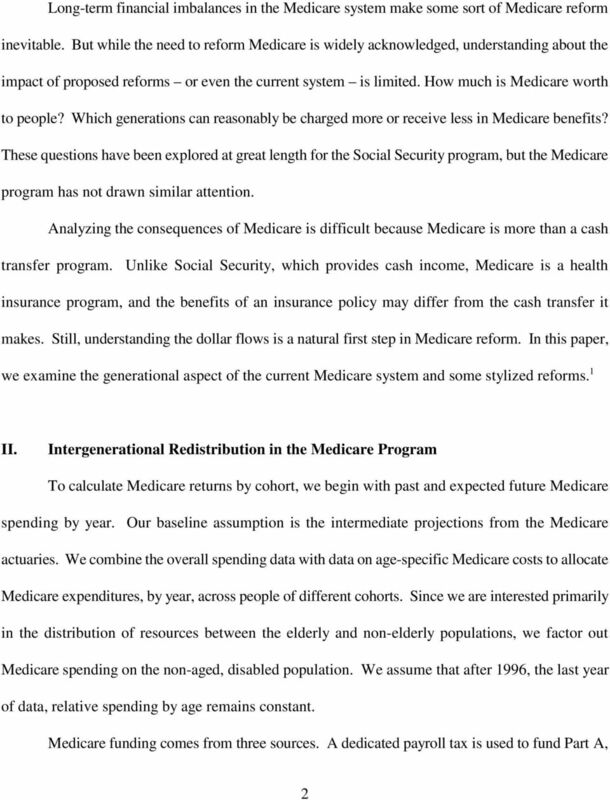 C. Eugene Steurele and Jon M. Bakija (1994), Congressional Budget Office (1997), and Jagadeesh Gokhale and Laurence J. Kotlikoff (1998) have also examined intergenerational aspects of the Medicare program. 2. Medicaid pays the Part B premium for low-income Medicare beneficiaries. We consider that payment to be a Medicaid benefit, and still credit each beneficiary with making a Part B payment. 3. This is the return used by the program actuaries. This return is likely too low. Doug Elmendorf and Sheiner (1999) argue that the average rate of return on capital is closer to 6 percent. The net benefits are lower with a higher value but the pattern of net benefits across cohorts is similar. 4. Indeed, spending fell sufficiently far that in 1999 Congress passed legislation to undo some of the Act s cuts. 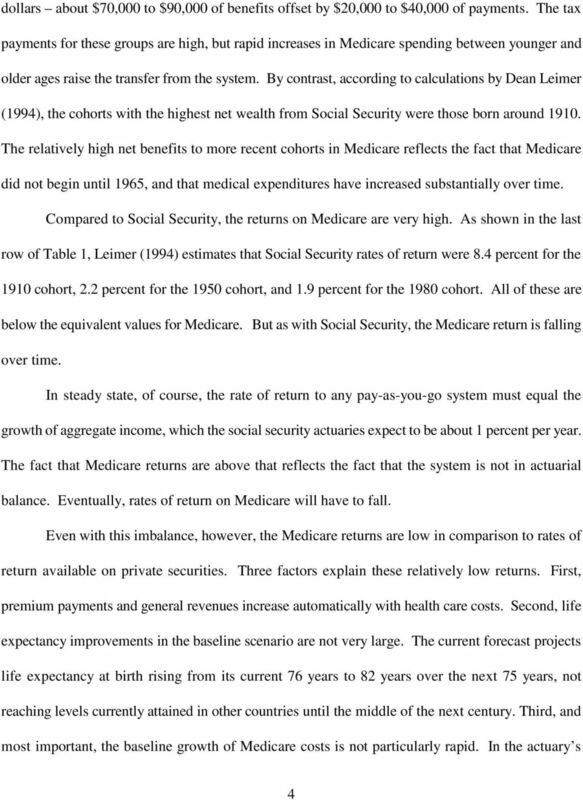 The actuaries are likely to increase the growth of Medicare in the 2000 Trustees reports. 5. 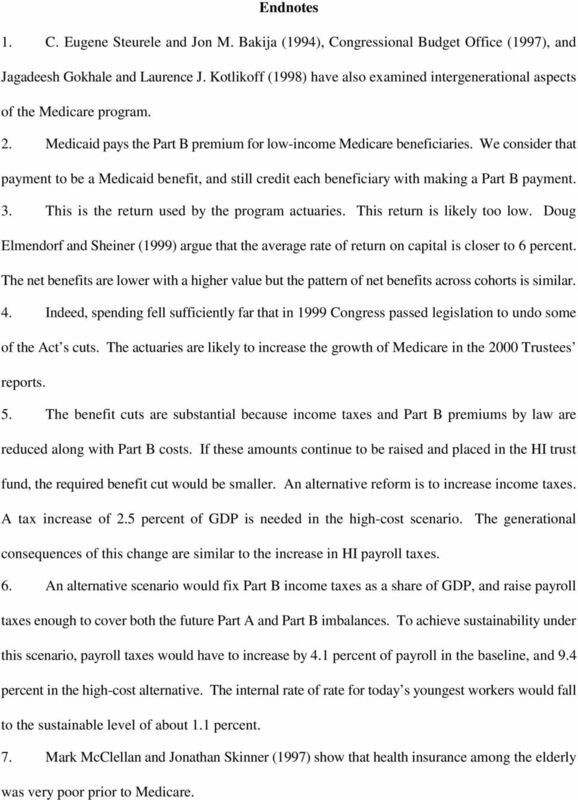 The benefit cuts are substantial because income taxes and Part B premiums by law are reduced along with Part B costs. If these amounts continue to be raised and placed in the HI trust fund, the required benefit cut would be smaller. An alternative reform is to increase income taxes. A tax increase of 2.5 percent of GDP is needed in the high-cost scenario. The generational consequences of this change are similar to the increase in HI payroll taxes. 6. An alternative scenario would fix Part B income taxes as a share of GDP, and raise payroll taxes enough to cover both the future Part A and Part B imbalances. To achieve sustainability under this scenario, payroll taxes would have to increase by 4.1 percent of payroll in the baseline, and 9.4 percent in the high-cost alternative. The internal rate of rate for today s youngest workers would fall to the sustainable level of about 1.1 percent. 7. 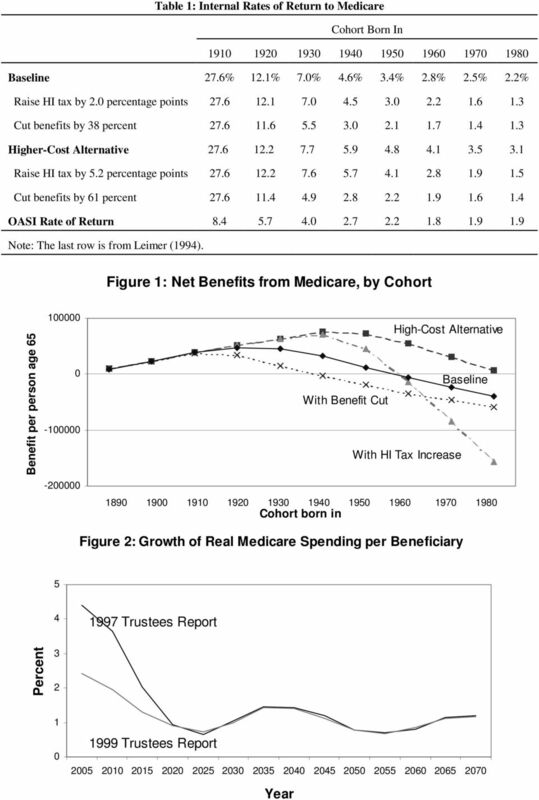 Mark McClellan and Jonathan Skinner (1997) show that health insurance among the elderly was very poor prior to Medicare. 12 8. Life expectancy among the elderly has increased by 2.4 years since 1960, while the increase in Medicare spending as of age 65 has been only $56,000. Thus, assuming the value of a life-year is about $100,000, if at least one-quarter of the increase in life expectancy results from Medicare, increased Medicare spending is worth the cost. January 27, 2010. Honorable Paul Ryan Ranking Member Committee on the Budget U.S. House of Representatives Washington, DC 20515. Today s Research on Aging P ROGRAM AND P OLICY I MPLICATIONS Issue 3, May 2007 Savings and the Elderly Savings strongly influence the well-being of the elderly and the rate of a country s economic growth. A Comparison of Period and Cohort Life Tables Accepted for Publication in Journal of Legal Economics, 2011, Vol. 17(2), pp. 99-112. BOOK REVIEWS. The Healthcare Fix: Universal Insurance for All Americans Laurence J. Kotlikoff Cambridge: The MIT Press, 2007, 96 pp. T H E P U B L I C P E N S I O N P R O J E C T. Can California Teacher Pensions Be Distributed More Fairly? How Will the Affordable Care Act. Medicare? U.S. DEPARTMENT OF HOUSING POLICY DEVELOPMENT & RESEARCH Refinancing Premium, National Loan Limit, and Long-Term Care Premium Waiver for FHA s HECM Program AND URBAN DEVELOPMENT ECONOMIC RESEARCH U.S.
WILL HEALTH CARE COSTS ERODE RETIREMENT SECURITY? 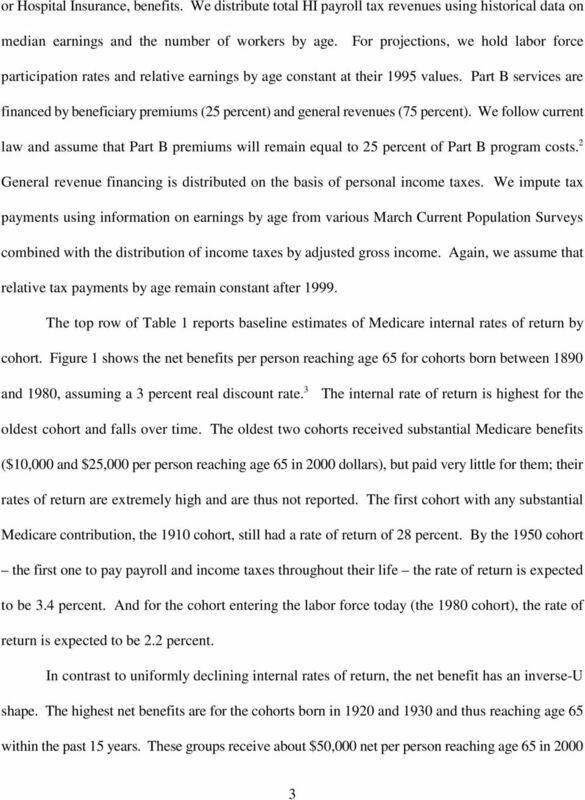 NBER REPRINT NO. 2266. 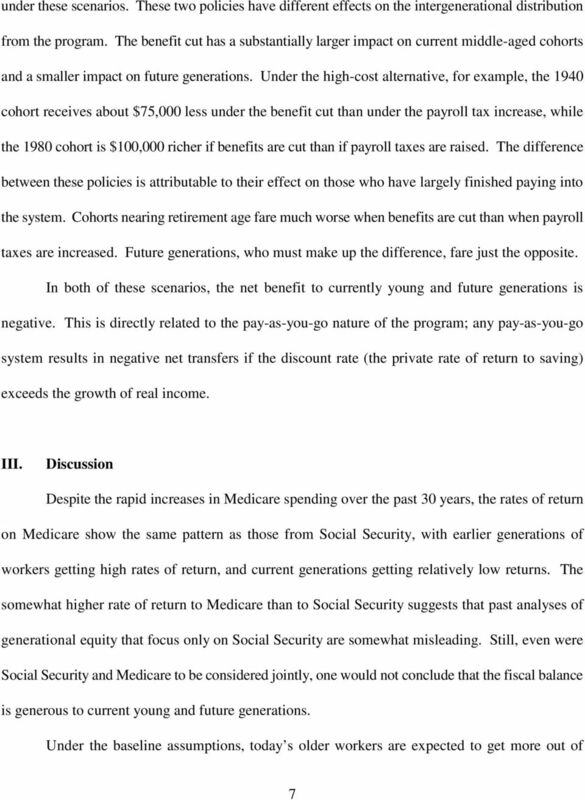 Would a Privatized Social Security System Really Pay a Higher Rate of Return?